2019-04-01 14:35:11 GMT <alfresco-discord> <Mark-Unofficial> other than /alf_data/contentstore are there any other directories I need to copy to a target? 2019-04-01 14:54:22 GMT <angelborroy> @Mark-Unofficial What is “manual sync”? 2019-04-01 14:55:45 GMT <angelborroy> right? 2019-04-01 15:00:29 GMT <angelborroy> So it’s a regular backup, isn’t it? 2019-04-01 15:01:09 GMT <angelborroy> Where did you configure the SSL? 2019-04-01 15:01:19 GMT <angelborroy> Apache / NGINX or Tomcat itself? 2019-04-01 15:24:11 GMT <angelborroy> Can’t you find it? 2019-04-01 15:37:37 GMT <alfresco-discord> <Alexander Seitz> @angel.borroy I did not find a patch for it. Where can I get it? 2019-04-01 16:07:06 GMT <angelborroy> what is your current acs version? 2019-04-01 16:16:34 GMT <angelborroy> “Alfresco” is Tomcat, Apache HTTPs, nginx… ? 2019-04-01 16:21:33 GMT <angelborroy> Both are the same Alfresco version? 2019-04-01 16:22:13 GMT <angelborroy> are you installing on the same server path? 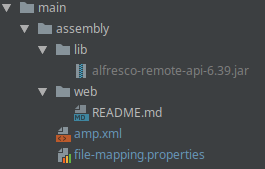 2019-04-01 16:23:36 GMT <alfresco-discord> <Mark-Unofficial> so currently I've restored the database and reference to a file created on server A is now showing in the site in Server B, I've coppied over all of /alf_data except keystore & postgres folders but when clicking the "User created document aaaaa" I get "The item cannot be found. Either you do not have permissions to view the item, it has been removed or it never existed. " 2019-04-01 16:25:47 GMT <angelborroy> did you take your SOLR indexes? 2019-04-01 16:26:35 GMT <angelborroy> What is the size of your repository? 2019-04-01 16:28:58 GMT <angelborroy> Did you copied alf_data/solr folder? 2019-04-01 16:29:41 GMT <angelborroy> is it Alfresco 6? 2019-04-01 16:31:54 GMT <angelborroy> btw why are you using Alfresco to store files > 4 GB??? 2019-04-01 16:32:02 GMT <angelborroy> Are you using videos?